Every one having an online presense tries their hand at social media networking too. But how to do it more effectively? Pinterest one of the few top social networking websites, which uses the same old highly specialized marketing techniques like the others. Twitter had, since its inception, been interested only in the text form of social networking. YouTube (which can narrowly been described as a social network) features, video pod-casts from its users and for its users. Though the rule is successfully broken by Facebook and Google+, the latter’s can be classified as exceptions to some degree. But, talking of Pinterest, it offers majorly picture based sharing. Though such techniques leave the social networking site to be viewed by people with higher browsing speed, which are not large by the way, but in this industry, it is worse to be a jack of all, than to be a master of one. Here are some dos and don’ts for pinterest users, which will surely set the base for a healthier and more popular pinterest page for you. Try for daily pins at some intervals but not a group at a time. This Golden Rule applies for every social network existing. The reason being, you cannot expect your fans around the world from different time zones to see your pin on their board just the time you pin it. Let us suppose you pin an item at 7:00 in the morning, do you expect your fans to sit around and wait for your pin. You have to assume they’ll open their pinterest account whenever they feel comfortable, so you’ll have to keep reminding them from your pins that you’re there and still produce fresh and quality content. Also you must have noticed a striking dislike for any page clogging up your social network space with their offers or their content, Similar thing applies here too, so never push your luck by pinning several things together cause the person sitting on the other side may not share your patience. Everybody in the management sector, knows that a highly specialized product is always looked up with quality and purity. This management strategy applies to pinterest too. Make your pins specialised and narrow the focus to a small space. For example, if you want to talk about gardening, better talk about methods used for better gardening, or on how to make your own kitchen garden, you will see the effects of your strategy paying well. You will be looked upon as an authority over the subject and will receive loyal visitors. For most people who are still new to pinterest and its ways, or for rookie bloggers looking for exposure on pinterest, you have one more advantage. You can even find more content from pinterest from leading authorities and then bend it to your liking. Now, remember you are not being asked to copy material and paste it on your board, but you just have to find ideas, remember you’re the authority on your subject, the other person is an authority on another subject, but somewhere your areas of interest will meet. For Example, you have a board on Kitchen Garden, but someone has a board on home-grown tomatoes, what you can do to improvise on the situation is to keep looking for his pins, subscribe to him. You will definitely learn something from his pins and then you’ll gain more trust from your visitors when they see your content. Remember, same will be done to you too. Though pinterest is more of a picture sharing platform, but you can pin videos too, and as a result, you will add a tinge of uniqueness and freshness to your board as there are not many people who pin videos. Pinterest by cold brew labs is a content sharing service which allows members to "pin" or post videos, text, images and other objects to their pinboard (or wall as per facebook). Just like any other social networking service, using pinterest also needs some practice.You can even share your website or blog at pinterest Posting or pinning on pinterest is not tricky or difficult at all. Let us take an example of the codemakit pinterest page. Here we have a board created beforehand, you can learn how to create boards at the previous post here. The board is named photos and some description is given, Now all you've got to do is click on the 'Add' button situated at the top of the page. Now you will be greeted by a window which might look like this. If you have text or photos to be pinned, you may click on the 'Add a pin' option. if you have some picture or a video stored in your computer somewhere, you should click on 'Upload a Pin' option. After clicking on the option, you'll be presented with a window, where it is expected from you to copy and paste the URL of your picture or video. Add some description and click on 'Pin It' button. You will now see a preview of the post on your board. You can even embed the pin at your blog or website, by just clicking on the embed button, provided at the right side of your board. 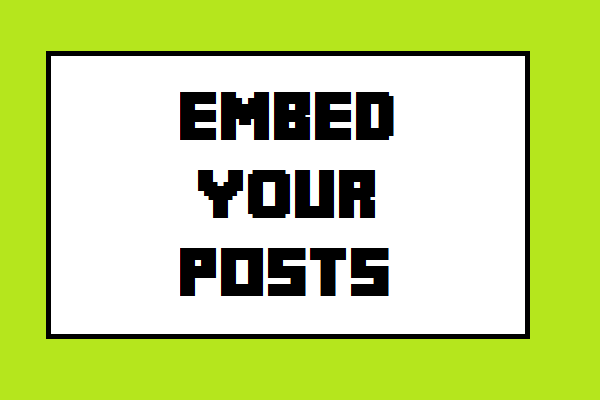 On clicking on the embed button, you'll be presented with a window containing the embed code. Here is an example of the post embedded below. Social Ditto, just as the name suggests, basically copies your post hosted on a social networking site and provides you the ability top host it anywhere you like, even in a blogger post. The application allows its user to select a post, and get an embed code for the particular post, giving them mobility. The website also provides the developers, a preview of what would the post look like once it is embedded. The following post has been taken from codemakit Facebook, and through the embed code, it has been embedded bellow. 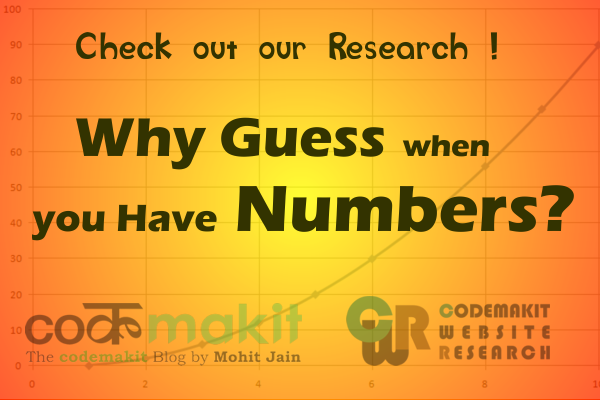 The 92nd post on codemakit blogs. The procedure is simple enough, You just have to copy the link from the post and then paste it in the space given on the website. Click on ditto and you'll have the embed code in your hands. Here are the different steps required for different Social Networks. See the message closely, you will find an 'expand' button on the left hand side of the post at the bottom. Right click and select "Copy Link Location"
Now Select "Copy Link Location"
The preview looked like this, along with the embed code at the bottom of the page. Now that you've created your website and are regularly updating it. It is now time to flaunt your design and content to the world outside. Boast your style and share it with your friends and family. But with the advent of social networking it is not difficult altogether. This post is for people who are on pinterest. A very resourceful website for this purpose is the website, URL2Pin. The website has a unique feature of pinning your website as a screenshot on your pinterest boards. The process is simple enough, go to the website, and put down the website you want to be shared. 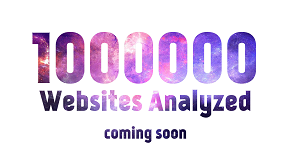 The website will then fetch a screenshot of your website and then display it to you as a preview. On the right side of the preview you'll find a set of social networking buttons, comprising of Google plus, Twitter, and Pinterest. Just click on the pinterest button and you'll be presented with a popup. The message to be displayed will be mentioned and you'll see the screenshot to be shared. Click on pin it and you'll notice the message and the picture pinned on your board when you come back to pinterest. How to create boards in Pinterest? The post aims at bringing out answers to simple questions pertaining to the usage of popular social networking site, Pinterest. The post will answer questions like What is a board, How To delete a board, How to to add contributors to a board. What is a board? A board is a set of pins and a pin is a single or a set of images added to a particular location. A board can be created on any topic, such as blogs, favorites, foods or dishes you like. You can add unlimited pins to a board as you want. How To delete a board? For Deleting a board, Go to that specific board you want to delete and click the Edit button in the top-right corner. Click on Delete Board. On performing this task, the pins contained in the board will also be deleted. You must follow at least one board belonging to a user in order to add him/her as a contributor. Then, type his/her username into the text field. Potential matches to this username will begin to load; when you see the person you want, click their name. Click Add. When you are finished, click Save Board Settings. Now You may also Create a new board along with contributers by clicking Add > Add a Board on the toolbar on Pinterest. Select the setting “Me + Contributors” and proceed to add other users. Users who you add as contributors will receive an email notification. They can choose to remove themselves at any time. What is Pinterest and How to use it? Development of Pinterest began in December 2009, and the site launched as a closed beta in March 2010. The site proceeded to operate in invitation-only open beta.On August 16, 2011, Time magazine listed Pinterest in its "50 Best Websites of 2011" article. Pinterest is similar to earlier social, image bookmarking systems based on the same principle, such as David Galbraith's 2005 project Wists. Users of Pinterest create themed boards, populating them with media found online using the "Pin It" button, or uploaded from their computers. Each such item of media is known as a "pin", and can be a picture, a video, a discussion, or a product. Pins can be grouped into so called "boards", which are sets of pins focused on a specific topic. Pinterest can be accessed by adding the "pin it" button to the desktop bookmark bar, "follow me" and "pin it" buttons added to personal website or blog pages. According to the about page of Pinterest "Pinterest is a virtual pinboard. Pinterest allows you to organize and share all the beautiful things you find on the web. You can browse pinboards created by other people to discover new things and get inspiration from people who share your interests." Just enter your email, if you do not want to share your facebook or twitter username, you can just enter your email address and then comes a confirmatory message.